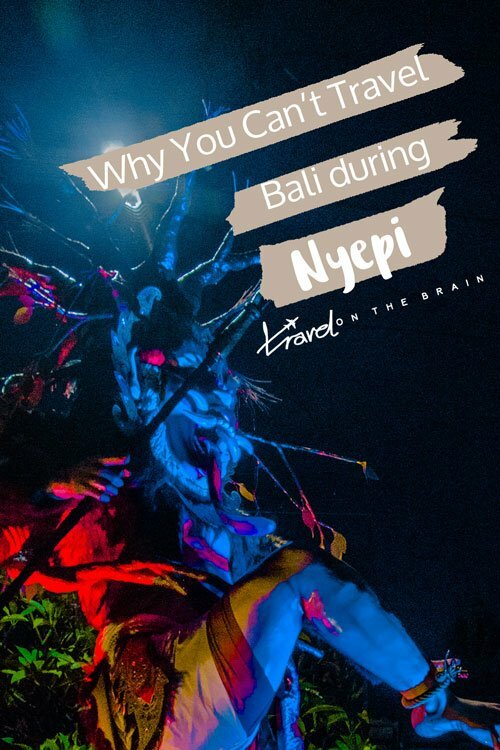 f you travel Bali in March, check the date of Nyepi and read on to find out how to behave on that special day. The day lasts from from 6 a.m. until 6 a.m. the next morning. 7 Should You Avoid Bali Day of Silence? As opposed to many other countries, Bali doesn’t celebrate the New Year (Isakawarsa) on January first but over the course of six days at a later point in the year. It changes every year, so be sure to double check Balinese saka calendar (for Nyepi 2018, it falls on March 17, for Nyepi 2019 it is 6 March and for Nyepi 2020 it is 23 March). The festival is part of the Hindi religion and is meant for silence, fasting and meditation. The purpose of Nyepi Bali is to meditate and through this not only to get closer to oneself but most importantly to god, Hyang Widi Wasa. 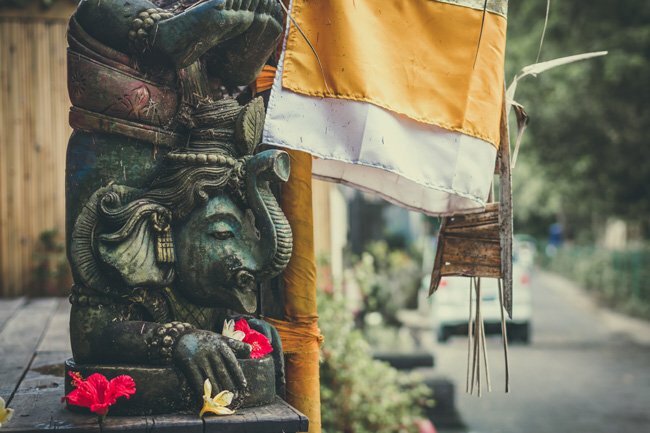 Through prayer and self reflection, Hindu Balinese take a closer look at their values, including love, truth, patience, kindness, and generosity. One myth says that the effect of complete silence enveloping the island also functions as a repellent for bad spirits who are tricked into believing Bali to be deserted . Nyepi is a public holiday in Indonesia and it not only affects local Hindus, but everyone who happens to be on the island. Tourists aren’t excepted, so don’t think you can get around the following rules to honour the day. Seeing that all shops and business are closed during Nyepi Bali, travelling is impossible. There are no flights or taxis that day. By the way, the India also celebrates this day as ugadi. On the Bali Day of Silence you are forbidden from leaving your house or villa. Don’t think about going on the streets, let alone to the beach. Don’t walk or use your scooter. You may only stay inside. No fires must be lit, which is why electricity will also be turned off and wifi and gas should be as well – though that seems to not always be the case. If you use lights or fire – keep it to a candle. As the goal is self reflection, you may also not work, seek entertainment or pleasure. Those who observe Bali Day of Silence religiously will also abstain from talking or even eating. 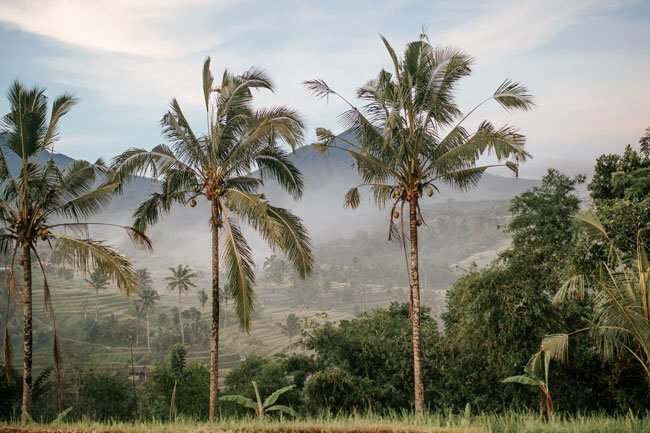 As a result, Bali completely transform and becomes “incredibly beautiful,” as one local put it. Gone are the noise and exhaust fumes. The streets are completely empty except for security men, called Pecalang, keeping people away. In total, there are 22,000 pecalang predicted to patrol in 2017. If you are staying at a hotel, you will find that the restrictions are less for the sake of tourism. Staff is minimal and lights are dim but guests are allowed to quietly go about their day within the walls of the hotel, while still being respectful. 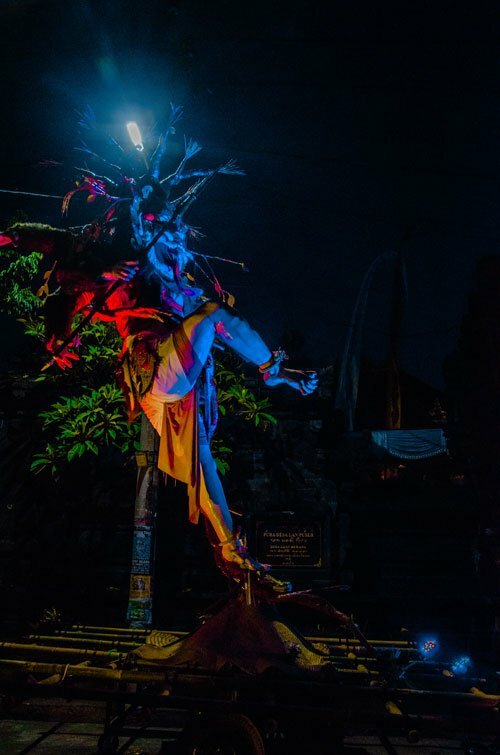 The night before Nyepi, ogoh-ogoh parades will be held in the streets of Bali. For these, men and boys carry giant figures of Hindu creatures to the sound of gamelan music. 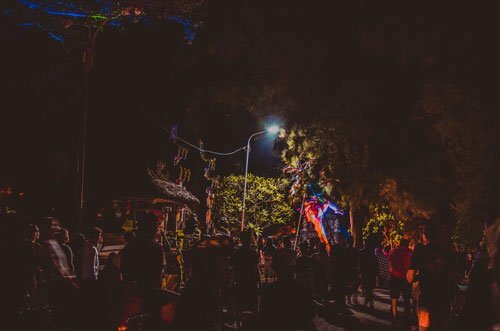 Each village makes their own ogoh-ogoh and the ceremonies are especially impressive in Kuta, Seminyak, Nusa Dua, Sanur and other popular beaches. The puppets can be up to 25 feet tall and weigh heavily. Some of the figures are burned after the parade for the ritual of Ngrupuk It is allowed to attend and take pictures. Up to two months in advance you can already see the giant demonic statues popping up in Balinese villages. The idea behind the Bhuta Yajna Ritual is to get rid of any negativity and bad spirits to re-establish balance with God, mankind and nature. 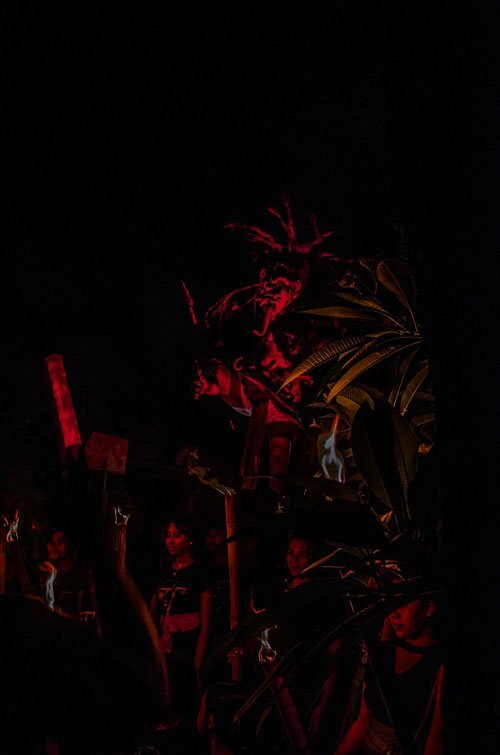 Through the ritual, the Balinese want to scare away Batara Kala, the god of the Underworld. Besides the parades, the ritual Pecaruan offering and Kesanga and Caru sacrifice rituals are performed to appease Batara Kala. The sacrifices are usually plants and animals, such as chicken, ducks and even cows. The Balinese calendar, like the Western one, consists of 12 months, sasih. Each of these adds up to 35 days that match the moon circle (from new moon to full moon). Since the entire New Year celebrations last six days, each day a special ritual is celebrated. 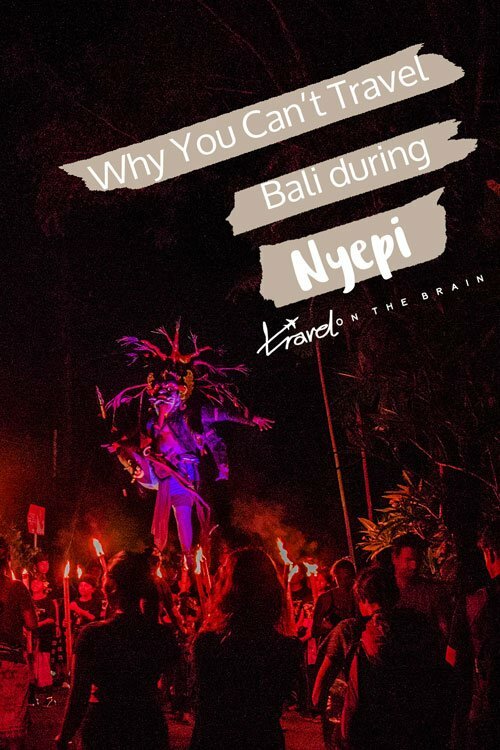 For Nypei – on the third day, it is the Nyepi ritual and Yoga/Brata Ritual that are celebrated the entire day. Three to four days before Bali Nyepi, the Melasti (Melis or Mekiis) Ritual is celebrated. 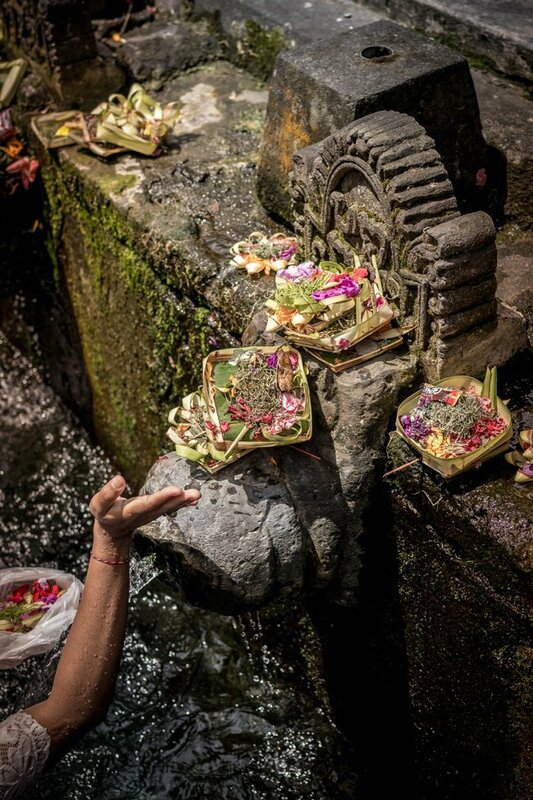 During this, sacred water is gathered from the sea at Balinese temple, called pura, to scarify the Arca, Pratima, and Pralingga of local temples. The ritual is dedicated to Sanghyang Widhi Wasa. On the second day, the Bhuta Yajna Ritual – as described above – follows. Day four is called Ngembak Geni. During this day people visit friends and family to seek forgiveness and perform ‘The Kissing Ritual’, Omed-omeda. This fifth ritual is known as Ngembak Agni/Labuh Brata and is performed as an act of forgiveness for one another. Last but not least, the sixth ritual is dedicated to the Dharma Shanti Rituals and completes all the Nyepi rituals. To avoid being completely underprepared and left starving, you need to stock up days in advance. (Avoid the shopping runs by starting early). Buy water bottles – as water dispenser are often attached to electricity as well –, fruits and raw food that you do not need to cook. Gas and electricity might be out! Alternatively, you can go to a local warung or pizza place and get additional takeaways to feast on (cold) during Nyepi Bali. If you really don’t want to miss out on cooked meals, double check with your accommodation or book yourself into a hotel with onsite restaurant or cafe. Don’t even look at flights, tours or transports on Nyepi or the day after. If you are staying at bigger hotels, resorts or in a private villa as opposed to a smaller guesthouse, you have an advantage. You might be able to use onsite dining facilities, potentially the pool and you can walk around the premises quietly. 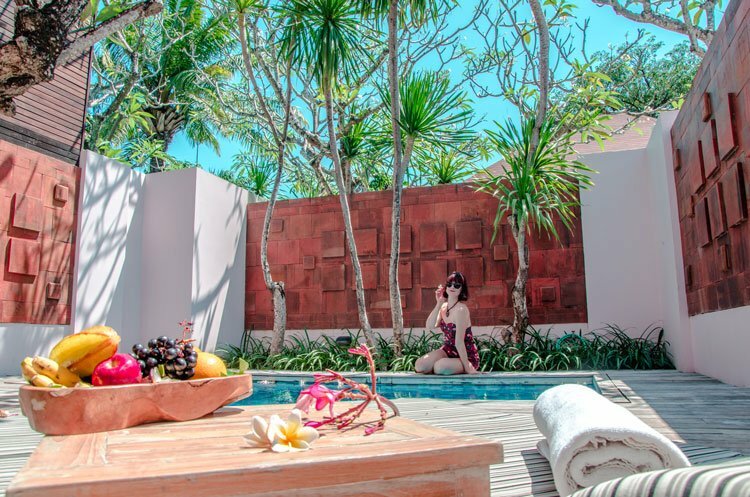 A great location for seeing the parade is in Kuta and The Anvaya Beach Resort Bali or the The Stones – Legian Bali are great resorts to check into. Seminyak also offers a great show and the beach is nearby (for after Nyepi). Here, look into a stay at Alila Seminyak because you are already right by the beach and ocean. A little bit more secluded and intimate are Impiana Private Villas Seminyak. Should You Avoid Bali Day of Silence? 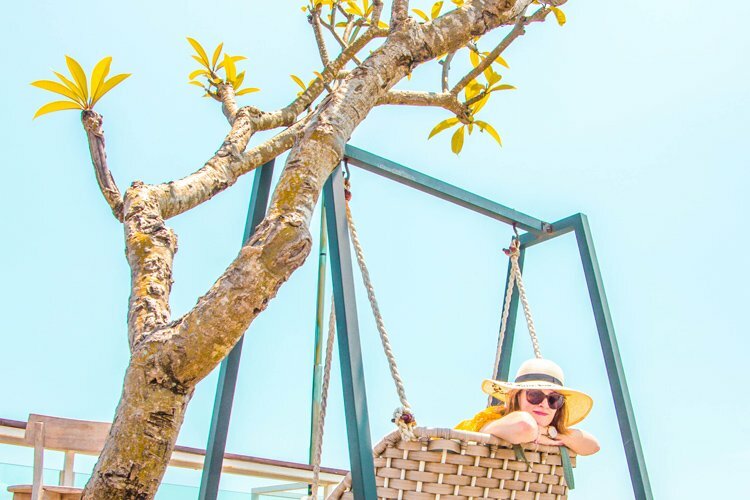 Since travelling during Bali Nyepi isn’t possible, it is a good idea to plan your Bali getaway accordingly, especially if you don’t have much time. Witnessing the parade is a very special experience and honour. So in case you are interested in local cultures and festivities, it is a one of a kind day to see for yourself. It surely isn’t for everyone. 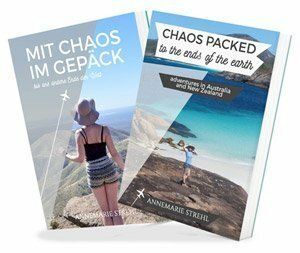 Digital nomads especially struggle with the electricity and internet limitations. 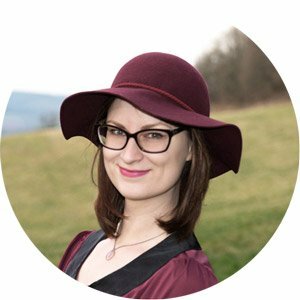 Tell me: Would you want to see the Bali Day of Silence?